The Legacy: Prisoner is rated 3.9 out of 5 by 10. Rated 5 out of 5 by rpadder from adventure A game that has a good story lots of puzzles great sound. a lot of twist to the story. Rated 5 out of 5 by SparkleGlow100 from Ancient and advanced technology nestled amongst Mayan village and complex, plus lots of nature Review based on completed game. Very relaxing. I played this game over many sittings to ensure I'd enjoy every second. Definitely not a game you should try and rush, otherwise you'll lose the atmosphere. Some games are like that – excellent and deserve to be savored. The DEPTH AND DETAIL of SOUND EFFECTS is astounding. You have to wear headphones and turn up the environmental sounds to appreciate it. In addition, the mouse-click actions effects are very soothing too. I silenced the voice-overs, because I just enjoy it more that way. 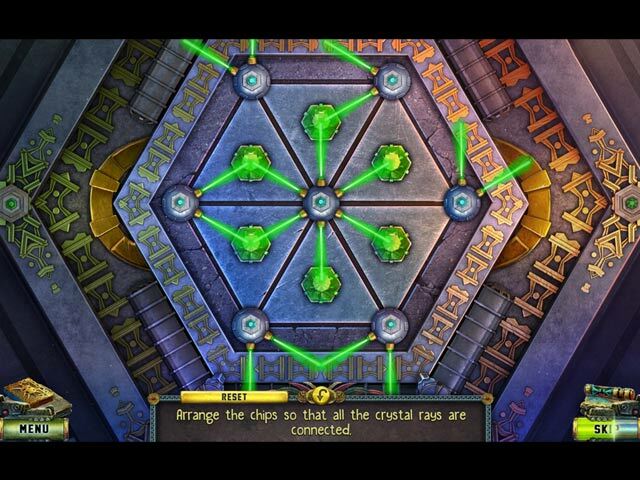 Mixture of HOP types, and a variety of puzzles at various skill levels. The HOPS are ok, but not the biggest pull for me on this game. Rated 5 out of 5 by codom from I Really Enjoyed Playing this Game I found this to be a fun and well-done game. I never got bored with the game play. It was a fairly long game also. it showed much more originality in many respects to most of the games being offered here recently. It's also very similar in style to the games by another developer on BFG. At the very least I recommend that you give it a trial. Rated 5 out of 5 by skullfun from ~~FIVE BN CREATES AN INCREDIBLE SEQUEL TO "THE LEGACY" SERIES!! !~~ In this edition of The Legacy 2: Prisoner, a golden artifact has been stolen from the museum! Diana is on her hunt for the thief when she gets sucked into a portal, sending her back to the era of the Mayans. The only way for her to get back home is to defeat the demon Rhitoris. As capable as Diana is, does she have what it takes to dethrone this powerful demon? To this day, I still remember the brilliance of The Legacy: Forgotten Gates, but as much as I loved that game, I do not necessarily want to go on the same adventure twice. 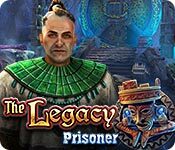 The Legacy: Prisoner takes you back to the world of the Mayans, one that feels strikingly familiar because we have visited there before in the first installment. 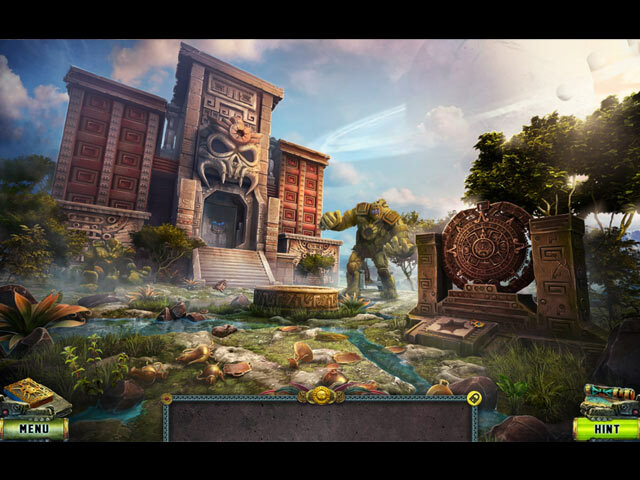 The storyline lacks a new level of excitement because it is practically the same as the one in Forgotten Gates, as well as countless other HOPA adventures. While the Sci-Fi elements still give this series a unique touch, touching on some other new themes would definitely be appreciated. The gameplay in The Legacy: Prisoner is certainly decent, although nothing to write home about. All the tasks and interactions are logical and make sense within the context of the game, and none of them are particularly challenging or innovative. Similarly, the puzzles are enjoyable and challenging at times, but we have seen the big majority of them before in some other games. Nonetheless, Five-BN is always adept at crafting interesting hidden object scenes and the ones in this game do not disappoint with their layered scenes and smart interactions. Regardless of the storyline and the gameplay that came slightly below my expectations, the sights and sounds remain fantastic. The realistic visuals, the creative location designs and the exquisite special effects in this game are the epitome of casual adventures. Moreover, the epic cut-scenes and smooth animations are also worth a shout out. On the audio side, the mysterious vibe of the music is well-used and the voice-acting is all-around solid. I played the Collector's Edition. The main game of The Legacy: Prisoner clocks in at around four hours and the equally-entertaining bonus chapter comes in at fifty minutes. The bonus section of the Collector’s Edition is packed with extras; a strategy guide, wallpapers, concept art, videos, soundtracks, re-playable hidden object scenes, re-playable puzzles, achievements, as well as collectibles and morphing objects that will later-on unlock some bonus puzzles. If you are a fan of Five BN and their hit games like Lost Lands, Darkness and Flame, and New York Mysteries then your bound to enjoy this next installment of The Legacy...Cheers! Rated 4 out of 5 by campingramps from Finally, a game to sink my teeth into They have finally come up with a game that is worth playing. This developer, five BN games, has put some effort into developing this one and they have succeeded. I enjoyed the demo and this will go into my collection. Graphics are very detailed and well drawn and the characters are up to the task of bringing the story along. I enjoyed the HOs and mini games and the just right challenge they brought into the game. Story line was easy to follow and didn't jump all over the place with no end in sight. At least we know this will end on a happy note. Based on the demo, I highly recommend this game and will add it to my collection. Rated 4 out of 5 by PATinPNS from Guess I Missed the First One This is posted after playing the entire game. This is a decent little game. I really enjoyed about everything. I wouldn't say it was the best game, but it sure isn't the worst. They said this was a continuation of the series, but I don't recall the first one so I can't compare the two. Just suffice it to say, it was a nice way to spend an afternoon. Graphics were good and the voice overs were excellent. Those from the other world spoke better that I do. I really liked the colors. For whatever reason I found them pleasant and easy on the eyes. Music was okay, it was kind of a Mayan type with pipes and such, but it wasn't annoying and was good to hear. I can't believe I'm going to say this, but I actually enjoyed the mini games. That means they were simple for this simpleton to complete. I play games to relax and not be challenged through every thought process available in my head and this offered the kind of minis I could enjoy. I had more trouble with the hidden object games than anything. They were mixed, but it seemed like they were mostly silhouette, my least favorite, and were really small and extremely hard to find. I think I used my hint more in this game than any other. The map was a real asset. With the different worlds and places available it showed where there were things to do and would transport. Only difficulty I had with the map was it is located right above the hint and I was constantly hitting the hint button instead of the map. There is also a diary which did come in handy a couple of times. Normally I never look at journals and such, but I had to go back to find some symbols I had missed along the way. Others have gone into depth about the story so I won't do that. I'll just say it caught me from the beginning and held my attention all the way through the game. I think if I were writing it, I would have had a different ending or more of an ending, but other than that it was good. Give the demo a try and see if this isn't something you might just like too. Rated 4 out of 5 by pennmom36 from ANOTHER FANTASTIC LEGACY I love games that have Aztec type graphics, and this game reminds me of the Mayan Prophecies series. There are 6 chapters, so it's well worth the money as far as I'm concerned. Yes, it's basically the same scenario as the first game in the series, but it works for me, just like it does in the Lost Lands, or Nightmares of the Deep. It stays on track throughout the game, and does a great job of not letting you forget the main plot (The Prisoner) even though Diana is sidetracked with different missions, of helping first the High Wizard and then the Elder, etc, who all try to help her return, but also to fix the prisoner situation. I haven't yet started the Bonus Chapter, because I like to finish my review before getting the main story line confused with the BC which is usually a whole different subject matter. I love this game, but have only given this Standard Edition version 4 stars because I preferred the Collector's Edition version which offers Collectibles & Morphing Objects. Here's a recap of my review to help you decide which version, if either is right for you: Diana has gotten herself into another predicament! She just returned home from the last portal that swallowed her, and she hasn't yet learned her lesson, don't mess with ancient gadgets! Once again she has tampered with an ancient portal, and once again, Diana is trapped in another world, a prison at that! The good news is that she's not alone, this prison has two other prisoners, one of which is supposedly a volunteer. The prison was built to imprison Rhitoris, an evil demon, and Kitron has sacrificed his freedom, using his own magical powers to block the demon's evil powers. Diana will need to use her skills to avoid traps, and help the people of this strange new world, as she searches for a way to return home, that is IF there's a way home! Five-BN Games have created some powerful games before, but this sequel has to be their best creation yet. I'm a fan, I can honestly say that every game series they have created is amongst my favorites, and they are truly worthy of a 5 star rating! Lost Lands, Darkness & Flames, New York Mysteries, House of 1000 Doors, Sacra Terra, Eternal Journey, and one of my top 5 favorites, Forbidden Secrets: Alien Town, are just a few of their epic games available. The Legacy is quickly becoming a Legacy adventure in my book. The sights and sounds are so realistic, I have surround sound speakers hooked up to my computer and I can't tell you how many times my poor little dogs and cat, have perked their ears up and looked all around the room, to try and figure out where those birds were coming from. They have done a fantastic job of creating an atmosphere to make you feel as if you were there. I love the abundance of Collectibles and Morphing Objects, and that they unlock puzzles and mini games in the Extra's section of the Collector's Edition version. Each and every scene has them, they blend in with the scenery very well, AND you can choose whether or not you want the cursor to change when you scan across an item, and if you want the items to be included on the map as to whether or not they have all been found, how awesome is that! 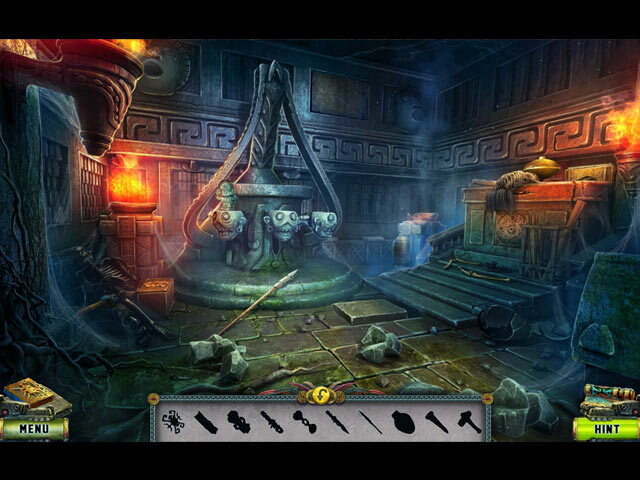 The Hidden Object Scenes have the standard Interactive Listed items, that includes finding all the cliche objects, a hat, shoe, teddy bear, spoon, necktie, wrench and necklace with missing beads. However, they also have a very creative HOP style that was a staple in the original game, and if I'm not mistaken, I think they were also in Darkness & Flames. The Progressive, Interactive, Silhouetted Shape find type, in my opinion is one of the best HOP's I've ever played, they are creative, items and tasks are very well blended, they are logical, and extremely entertaining, but most of all I love this type because they make me have to think! Some of the HOP's have a small puzzle to solve as well, but at least in the demo, there isn't an alternative game available. The Mini Games are all solvable, non frustrating, and well crafted, although not really original. I love that most of the Mini Games are Aztec themed as well. Below are brief descriptions of some of the games you'll encounter during the demo: 1) Enter the correct code on the keypad using the clue you found earlier. 2) Place exhibit items correctly using the photo as reference. 3) Enter the number of the lost artifact into the GPS, recalling by memory or referring to the Journal. (YEA, a journal to recap the story and use for referral, has returned!) 4) Rotate the circle parts to align the fragments into their matching grooves. 5) Using the hint you found, draw a line to connect the dots of the constellation. 6) Select the matching plates until all but one tile remains. 7) Move the block with the emerald to the exit on the opposite side in a game of "blocks" where you must move other sections to clear a path. THE LEGACY GAMES AVAILABLE Title***Collector's Edition Release Date***Average Rating 1-Forgotten Gates (March 11-2017) 4.1 2-Prisoner (December 5-2017) 4.4 The Collector's Edition has 21 Wallpapers, 37 Concept Art pictures (I love that they have a feature that allows you to download All Wallpapers and Concept Art, or just the ones you want) 16 re-playable Movie Videos, 8 Music Soundtracks, 13 re-playable Mini Games, 7 re-playable Puzzles, 22 Achievements to earn, 30 Morphing Objects that will unlock a Bonus Game in the extra's, 48 Collectibles (4 Vases, 4 Masks, 4 Golden Dishes, 7 Seashells, 5 Beetles, 6 Skulls, 12 Statuettes) that will unlock a new Bonus Puzzle for each Category Completed, a built in Strategy Guide and a Bonus Chapter, enjoy! Rated 3 out of 5 by Yurnmesis from Been Here Before. Trial Review. Viewed the trial and into 1 hour decided to stop. I've seen this all before in other games. Also I'm not a fan of what I call "gritty" graphics. I have come to expect high-quality graphics and characterization as well as fine detail in scenery, this was not on that par. The characters were wooden, with mouth movements and the story line was more than predictable. The scenes had rock-like appearance instead of polished.The voice overs were well done and the scenes well displayed but nothing new. The hint transported when needed which is a big plus. Mini games were easy enough for a non-fan and the HOG were well done with some interaction. Not a bad game, relaxing and moves forward, and music was appropriate for game, but just not my taste. I suggest you trial this one and decide for yourself. Rated 2 out of 5 by roaming from Two and a half stars I had to check reviews to see the year this game was released... January 2018 was the oldest review. Surprising. It looks and feels like a much older game, in spite of the ability to select the custom difficulty, get five-second refills on hints and skips, and a transporting map. The animation seems truly primitive. The hyena or whatever it was would be a perfect example. I was somewhat put off by the disgust factor, as well. Just the idea of picking up a human heart with your bare hands... yecchhh. Not that I'm normally at all squeamish. Spiders and snakes are one thing, but surely they could've imagined another way to release a shaman priest's soul... the same thing has certainly been done in plenty of other games. Maybe they were going for originality. <smirk> Original this game is not. Rated 2 out of 5 by Granny_Gruff from In This Case, Imitation Is Not a Form of Flattery! See if this sounds familiar: Diana is working at the museum. An artifact is gone. Diana must retrieve it. She goes through a portal into the distant past to recover the artifact and fight evil. Now, you tell me. Is that the synopsis for this game or the first game in The Legacy series? Did you answer both? Good for you! You win the chance to do it all over again if you play this demo. The Devs must have been so pleased with the reception the first game received that they trotted out much the same game with some new scenery. You get to see the same good points in lovely artwork and the same bad points like the blurry scenes. I think it would have been even more exciting to start with a whole new story and create from there. Please play this demo for yourself. I personally want a new story in a new game in a new year.